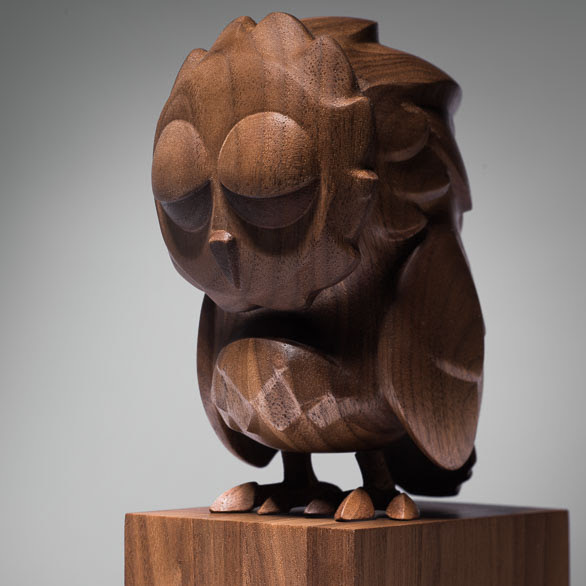 Coarse studios were overwhelmed by your support for the previous editions of Omen Wood. Once it was available in their online store it was gone within minutes, and they know so many of you were disappointed to miss out. They listened to your requests to offer another edition of Omen Wood and are excited to announce another opportunity to add a unique wooden omen to your collection. Omen Fade – Ash and Omen Fade – Walnut will be available at their website on Monday, February 1. 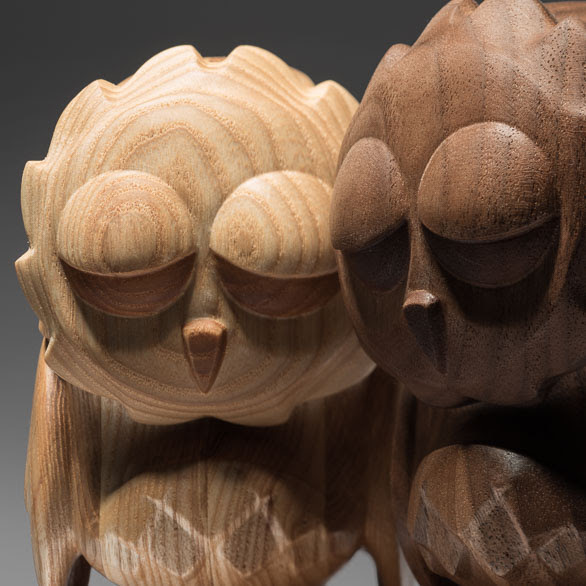 These new editions of Omen Wood are entirely produced at the coarse studio in LA, and both editions are limited to 30 pieces. 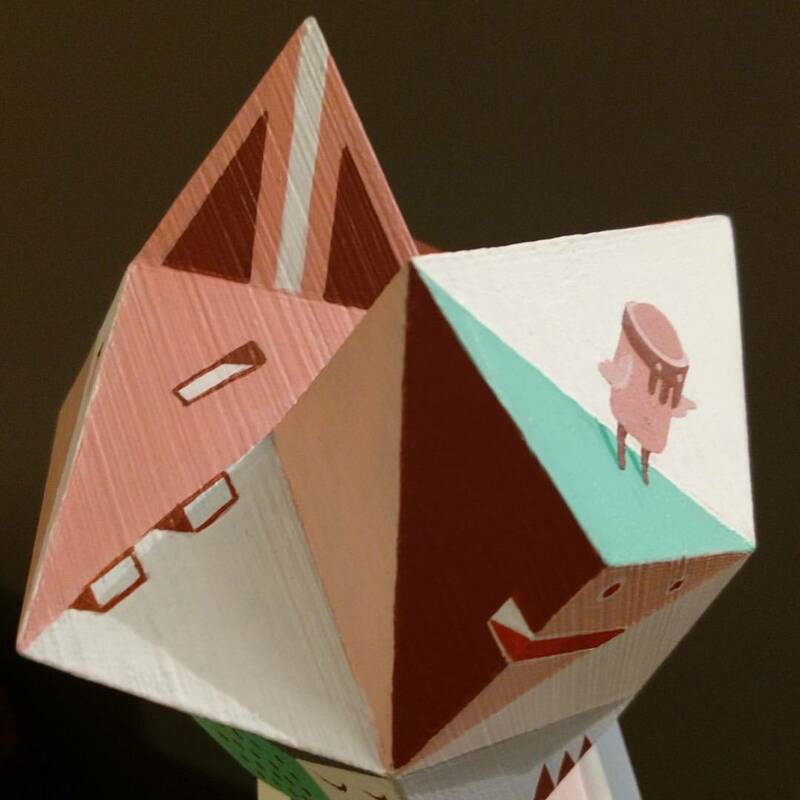 Each figure stands 4.5’’ [approx 11.5 cm] tall, includes a laser-numbered wooden base, and will arrive in a screen-printed wooden box. EPISODE 4: MADE MEN. 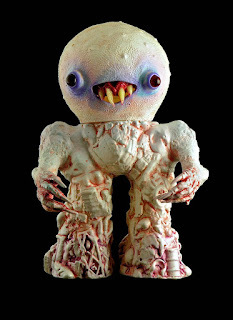 The Sucklord Soft-Peddles his associates from the Toy world, BILLIONS McMILLIONS and HEALEYMADE. Meanwhile, Swag officer NASTY NEIL and Computer Girl JCORP zap their brains with Electricity in the name of better mental Health. Nightriders are a particular breed of nocturnal bird spirits that wander between the supernatural world and earth-bound gods, communicating with unseen. 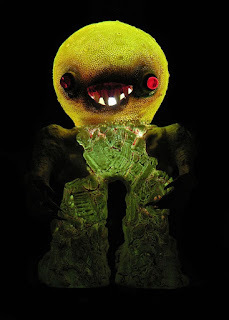 These supra normal beings are the creation of Nathan Jurevicius , a Canadian based Australian artist whose diverse range of work has appeared in numerous publications, advertising campaigns, and galleries around the world. 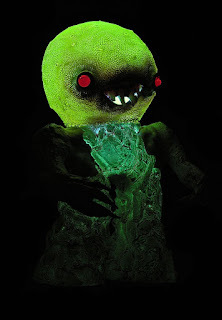 Nathan is also well known for his Scarygirl universe. Kidrobot is extremely pleased to reveal his unique vision of the Nightriders on our popular 3” platforms. Will you be the one to communicate with the rare chase figure? Dive into realms spectacular and find out with Nightriders! 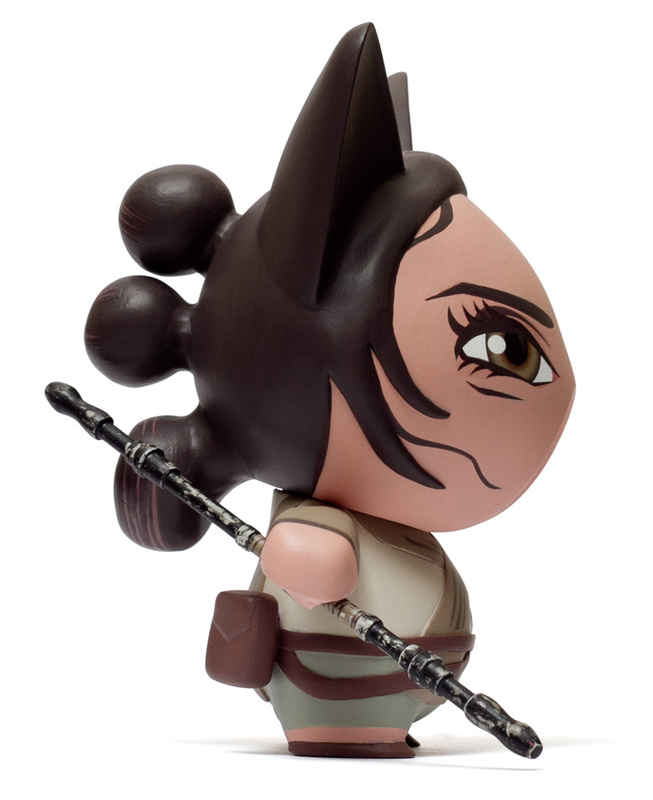 P!Q Products recently opened a show titled HERoes, highlighting female heroes in pop culture. Patrick Wong decided to focus on a more recent blockbuster with his custom Fonzo, creating "Rey" from the latest Star Wars movie. 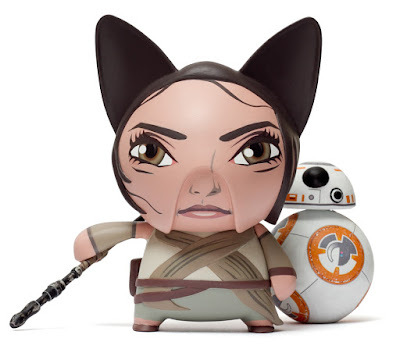 "Rey" comes complete with her staff, as well as a BB-8 accessory which stands at 4". This piece, along with all the other submissions will be on display at P!Q Grand Central Station and will run until February 29th. Pieces are currently available in store and should be available for purchase online soon. Be sure to contact P!Q with any inquiries or questions. 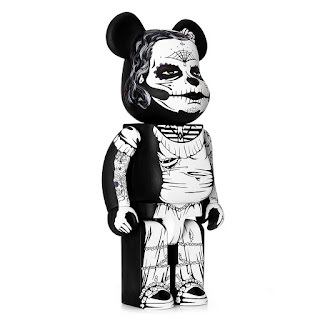 Ricardo "Rik" González of Mexico is the creative mind behind Cute and Creepy Toys. 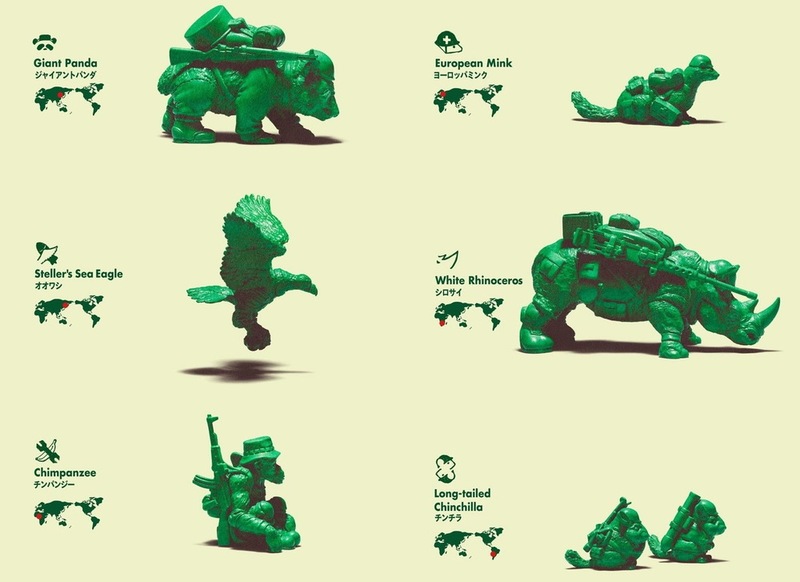 As a biologist (with a Ph.D in Ecology), Rik is focused on using toys found in flea markets. Rik is sees the reuse of materials as a benefit of less energy consumption. 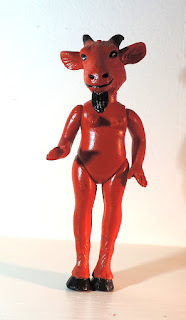 Since the materials Rik uses comes from flea markets, there is not a specific theme or design that is the major focus, rather a combining of several toys to create a unique figure. 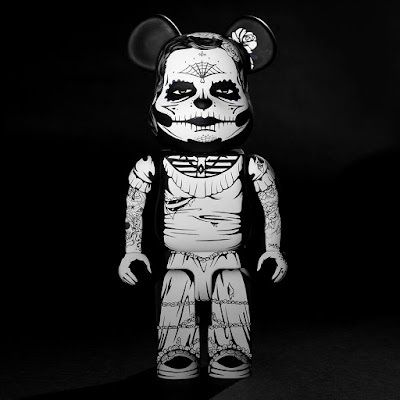 Each creation has it's own identity, all of which can be found on Cute and Creepy Toys' social media pages. Be sure to check out the unique work and we look forward to future creations from Cute and Creepy Toys. 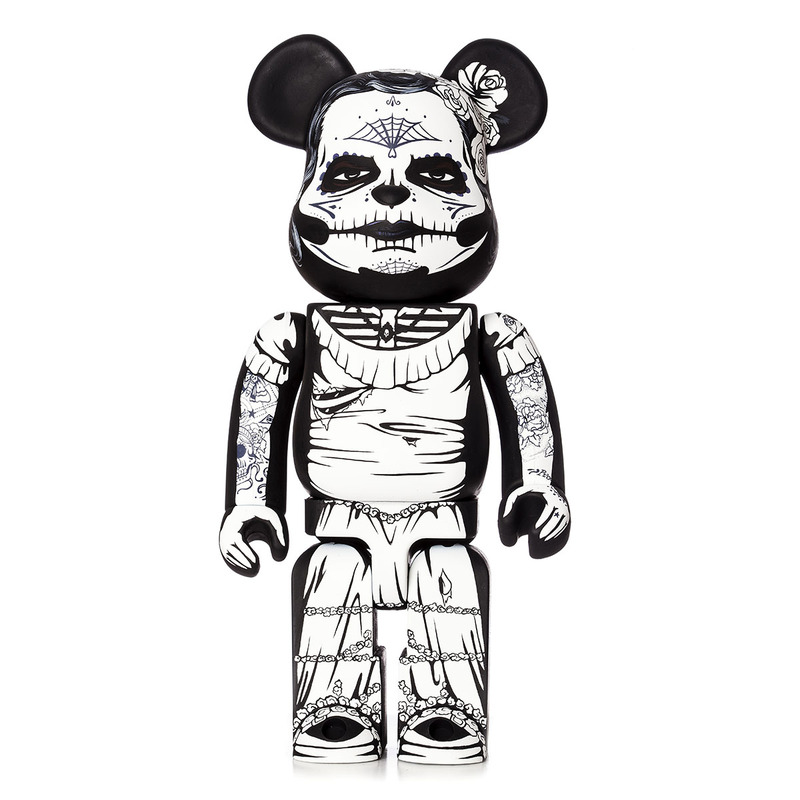 Jon-Paul Kaiser recently delivered a 400% Be@rbrick custom with a Dia De Los Muertos theme. 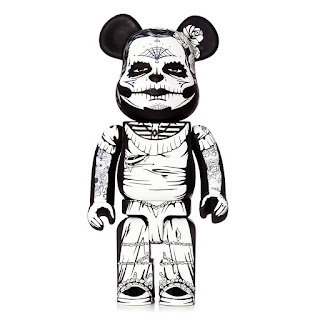 Depicting the Catrina character (La Calavera Catrina), the custom comes complete with a distressed wedding dress and heavily tattooed arms. A lot of great detail went into this amazing piece. Photography was taken by the legendary photographer Justin Allfree. 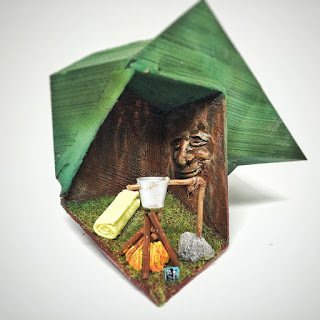 For anyone wanting a commissioned piece from Jon-Paul Kaiser, be sure to get in contact with him through his website, here. Jon-Paul Kaiser has a little obsession with The Woodsman character, which made a successful appearance as a print during the New Year. 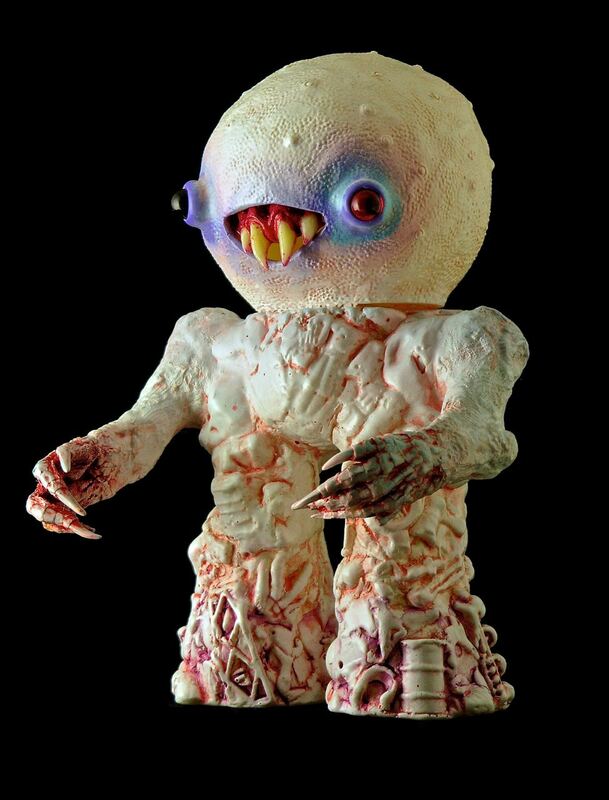 Moving forward with the character, Jon-Paul developed an original sculpt and will be releasing a timed release series of these 4" resin figures. 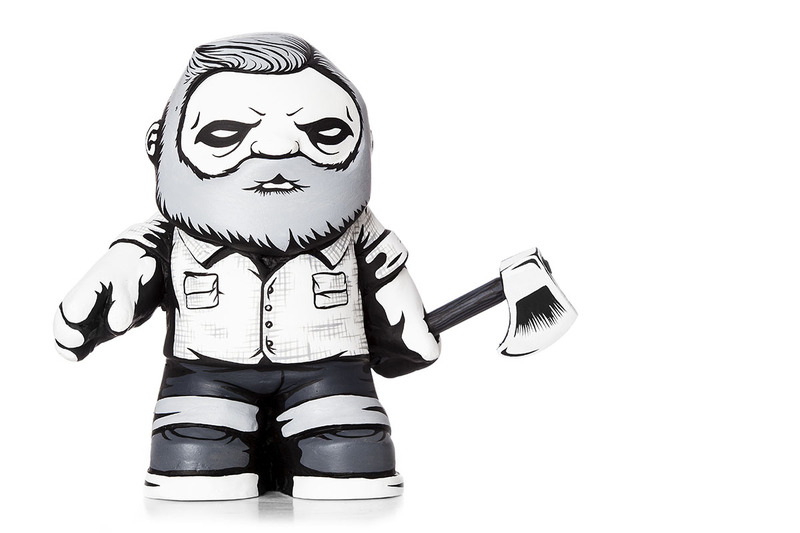 Evan Morgan has been tasked to help cast The Woodsman, while each will be hand-painted by Jon-Paul. Each figure will come boxed, signed and numbered. Pre-order for The Woodsman opens up at 12PM GMT and will be open for only 24 hours. The Woodsman is priced at ­£150 and two payment options will be available: full payment of £150(~$215USD) or a deposit of £50(~$72USD), with the remaining balance due after two weeks. 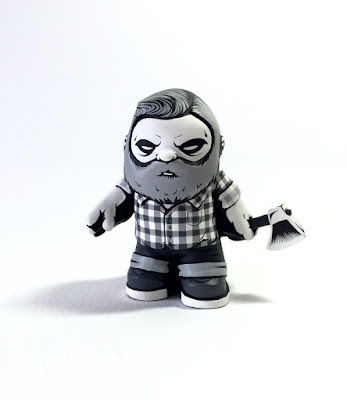 Jon-Paul also mentioned that there will be a second, rarer colorway available during the 24 hour window, The Gingham, which will be limited in number. 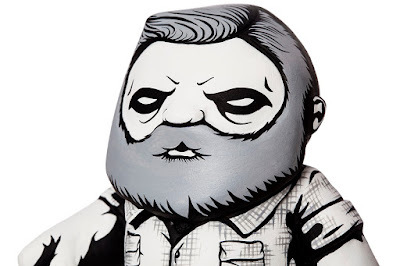 This is a great chance to get a piece by Jon-Paul Kaiser. Be sure to head on over to Jon-Paul's webstore and pick up The Woodsman. 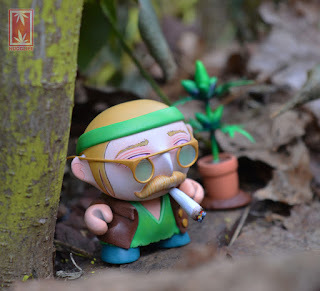 Nugglife Resin would like to introduce "Smoky", the most chillest hippie in town. 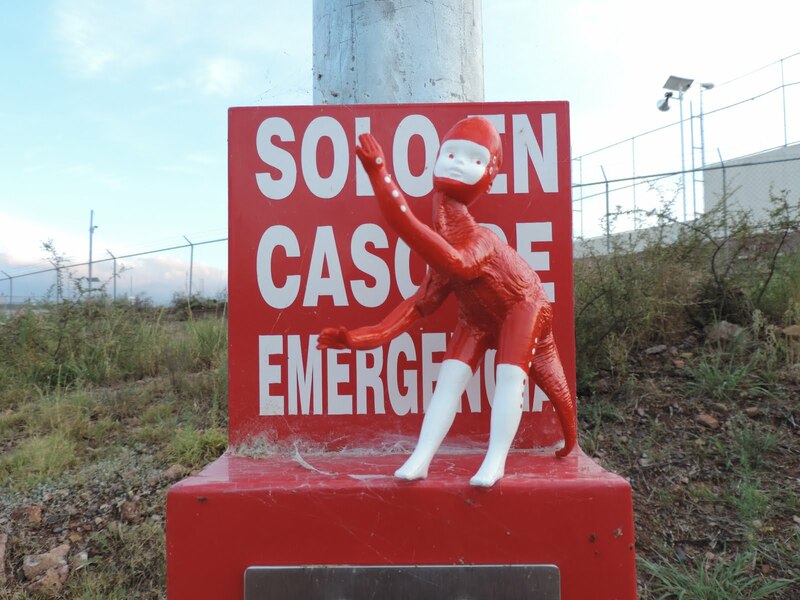 Casted by Task Oner and painted by Nugglife. 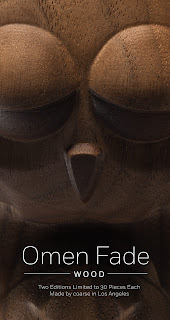 According to Nugglife, this is just a teaser and there is a surprise for this piece yet to come. The piece will be available February 9 at 4:20 eastern at Nugglife NY. 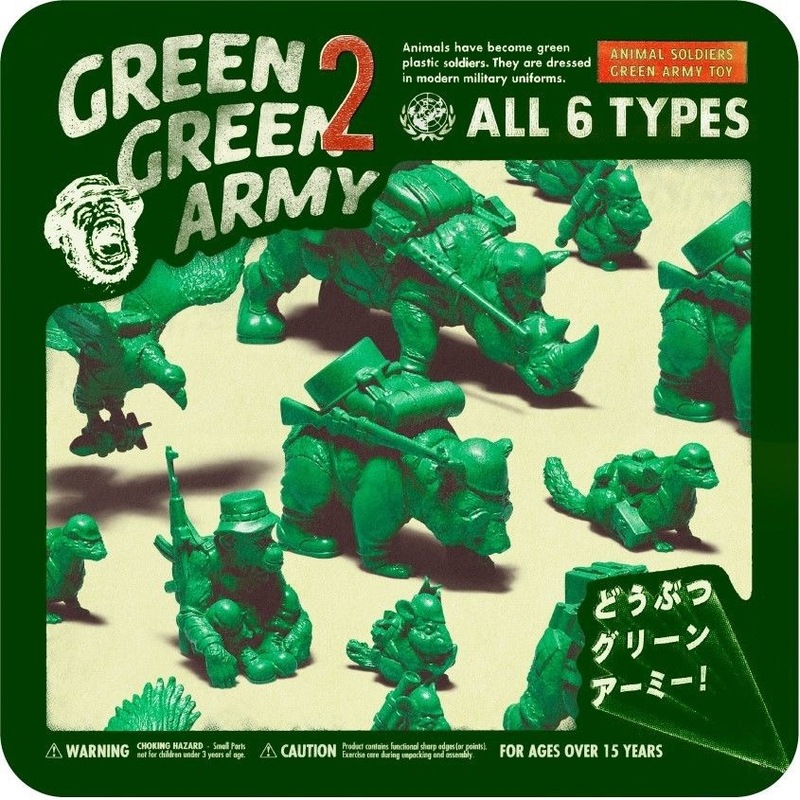 Playdead Toys now has sets of the second wave of Green Green Army available in their store. 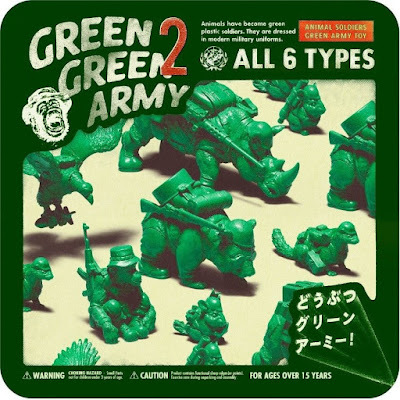 The follow-up series to the successful Green Green Army 1 set (and subsequent Fat Green Army Men Series), Series 2 adds 6 new animals to the Green Green army. Released as Gashapon (Capsule Toys) in vending machines in Japan, making them difficult to collect in sets. 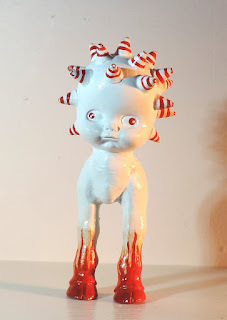 Taylored Curiosities has begun a Kickstarter to fund production of her Worry plush. 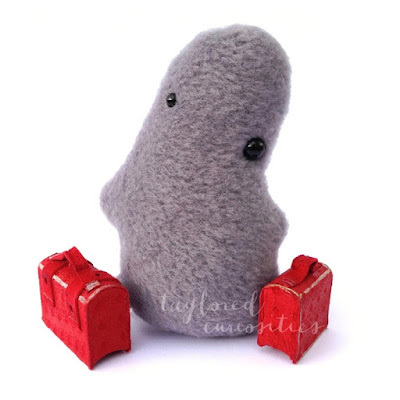 Worry is made from soft, grey, cuddling fleece and has a wonky mismatched pair of safety eyes. Lovingly stuffed with an extra squishy chubby belly and lavender aromatherapy which is a proven aromatic remedy to help you deal with anxiety. 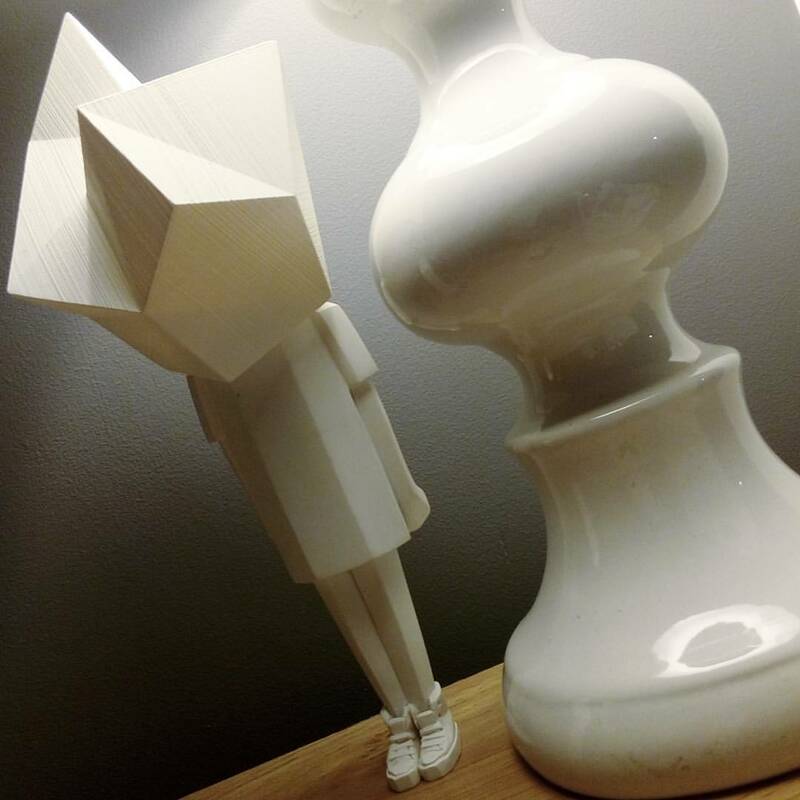 Worry is just 3" tall. The perfect size to take with you anywhere you go and made deliberately to fit into a human hand. There are also options to buy worry as an Acceptance Set. If you choose this option, your Worry will arrive nestled inside a plastic egg (colours vary) and will have an acceptance certificate with it (A5). 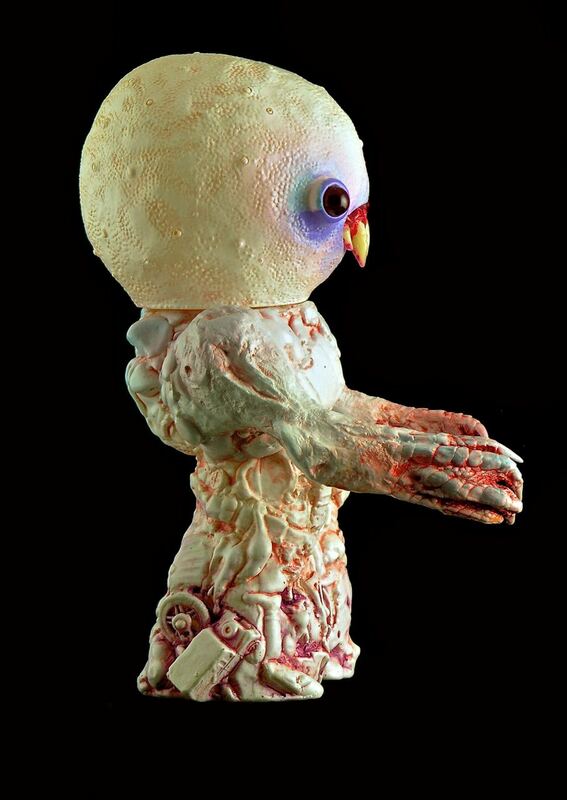 The certificate says that in 3 days the egg will hatch and you need to name this mystery creature and accept it no matter what (you, the adult, need to 'hatch' the egg so the child believes). 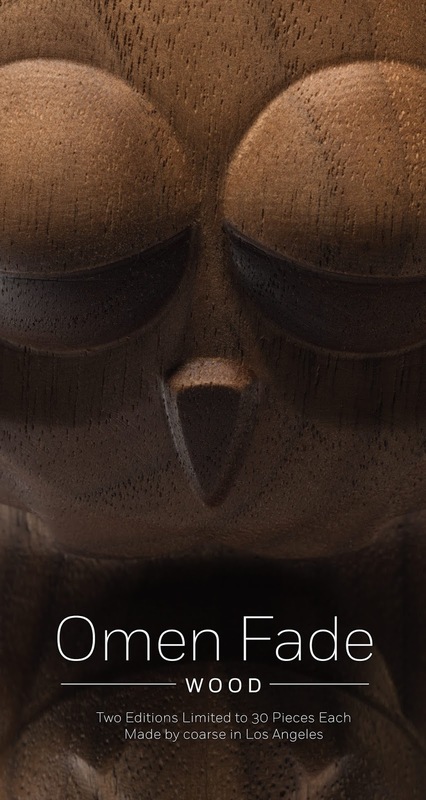 Slots for backers of this project are running out fast so hurry and secure your Worry. Then relax! 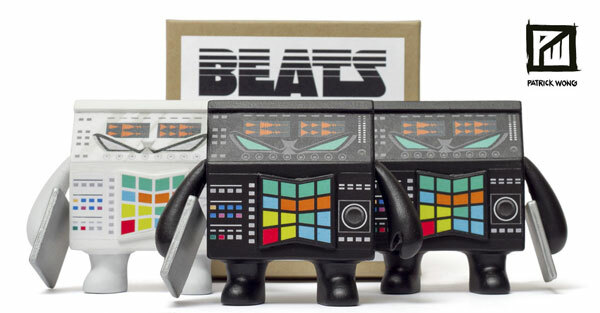 in stock - U.S. shipping addresses ONLY! Buy The Loyal Subjects x Transformers SDCC Exclusive Transparent Frenzy & Buzzsaw Tape Set today! 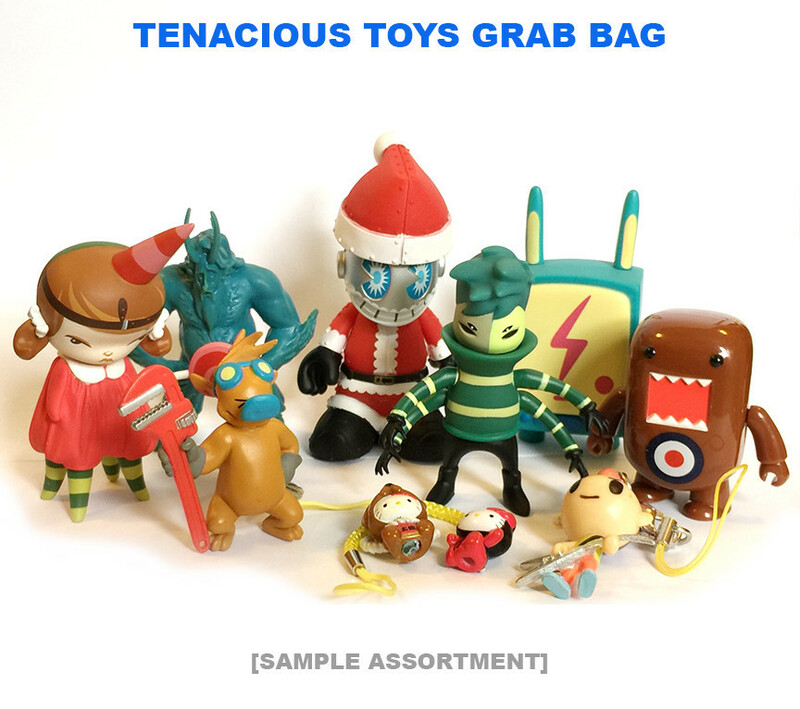 No returns, refunds or substitutions on Grab Bags - it is what it is! While we guarantee the value, we offer NO GUARANTEES that you will get the exact items pictured. Buy a Tenacious Toys $45 Grab Bag today! The final release in the Beats Series follows all of the Japanese production workstations and highlights the German-made Maschine Studio controller holding a silver laptop under one arm. 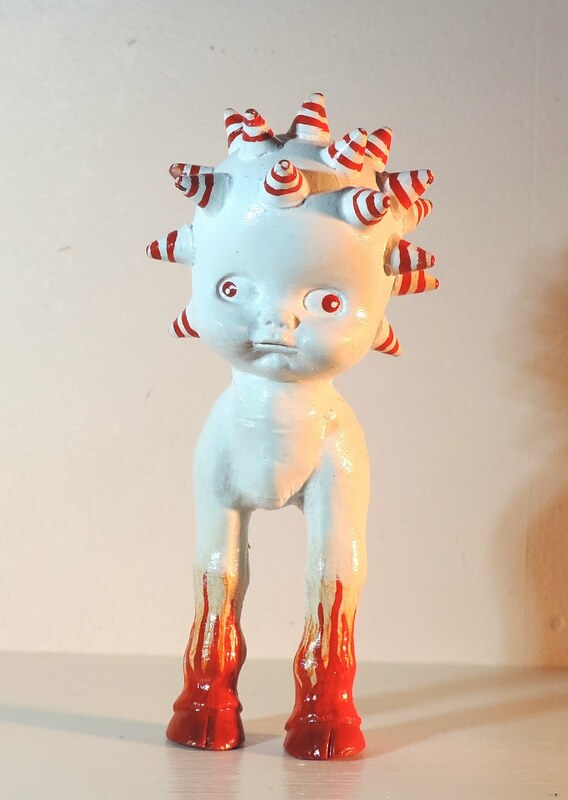 3" resin figure. 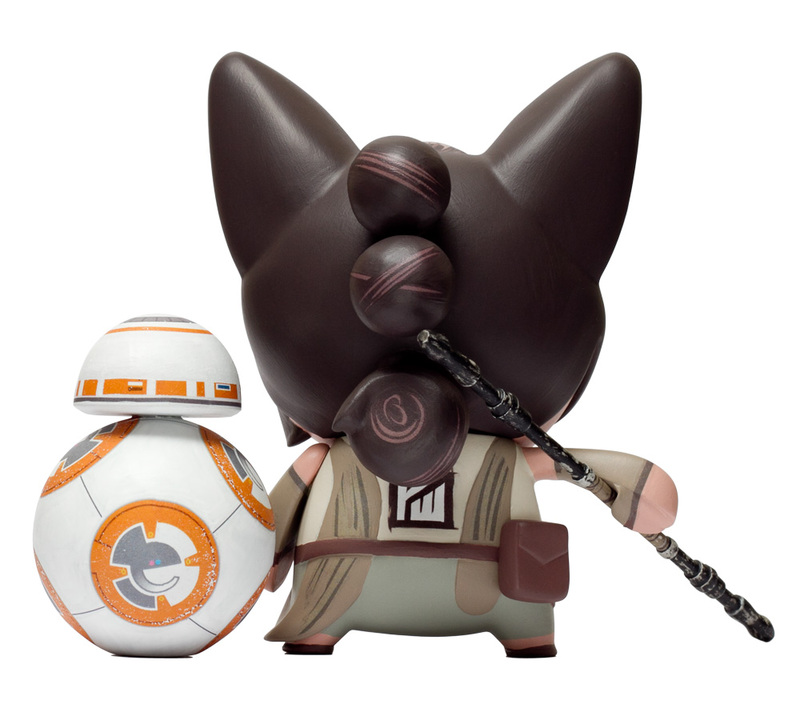 This is limited edition preorder only one-time run of figures available Jan 26th - Feb 9th, 2016. No copies available after. I didn't think I needed to post this update... but it seems that some people in other parts of the country don't quite understand that we just had a lot of snow over the weekend. 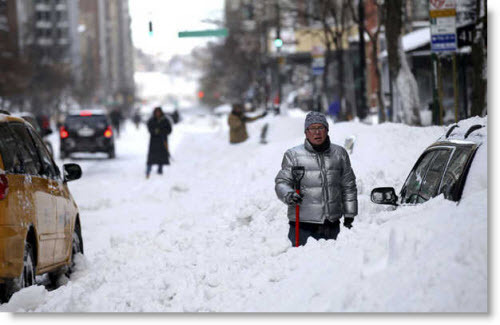 SO, for those of you who haven't been watching the news: NY, NJ, CT, NC, VA, DC and many other states and cities on the eastern seaboard just got hit with over 2 feet of snow over the weekend. THIS WILL SLOW DOWN THE ACTIONS OF THE US POSTAL SERVICE and FEDEX. And all other humans, as well. All human activity in the northeast will take longer than normal. That means... even if we shipped via 2-day Priority Mail before the snow fell, your delivery will STILL be delayed! Because SNOW! 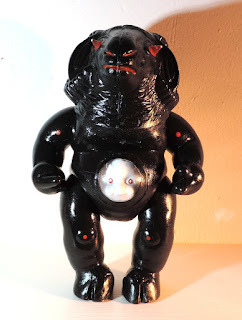 Order Jermaine Rogers Aleppin Sane OG 8-inch bust today! 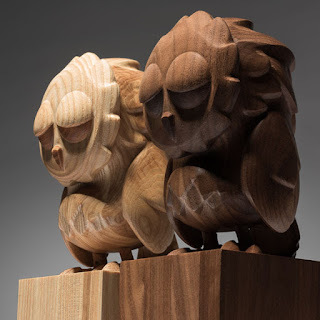 Found on the Artefacto Behance page. Some cool stuff there. 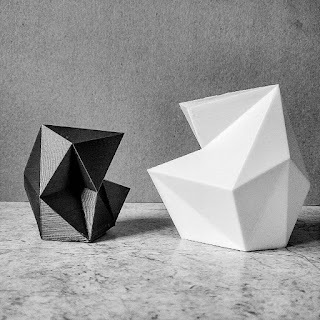 Artefacto are designers from Colombia - so cool to see our little collectible toy community growing! 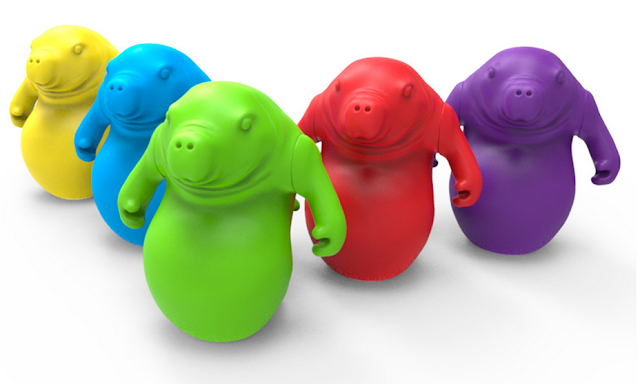 See more pics, turnarounds, Zbrush work here. Sooooo... who's gonna offer to turn this ridiculously cute figure into a 3" keshi? Cuz that would be rad. Tru:tek I'm lookin at you buddy. SEA COW FTW! 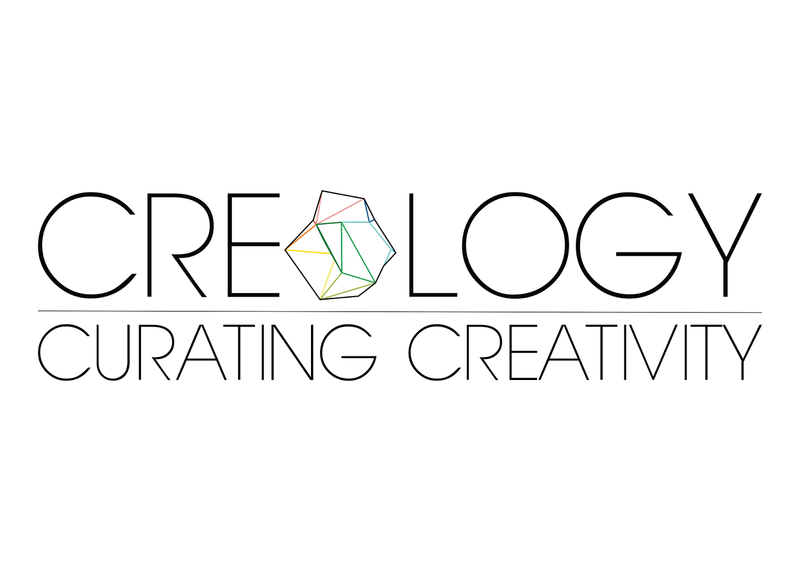 Creology, created by Chris Alexander A.K.A Creo Design, is the first truly unique creative tool that can help you personally and creatively develop. CREOLOGY (cre-o-logy) is derived from the Latin word for ‘Create’ CREO and the Greek word for ‘The Study of’ (a certain subject) LOGY. CREOLOGY; the study of creativity. 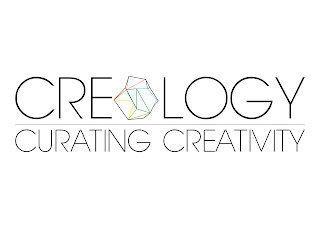 Creology has been developed from the philosophies of; the Creative Process, Collaboration as Process, Curation of Creativity and Reflection, as a method for Personal and Creative Development. The purpose of Creology is to explore and examine the nature of practitioners creativity through their interaction with an individually unique and creative physical tool/artifact ‘Element’. 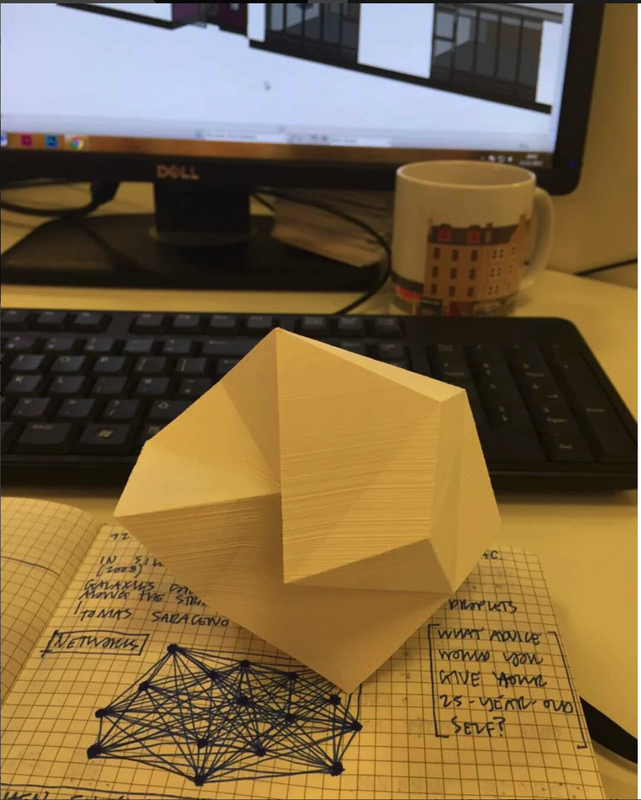 Creative practitioners use a variety of design methodologies, creative methods and sometimes actual tools to express their creative process. 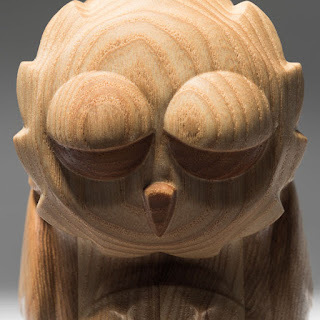 But within each individual approach, reflection is the common factor or lingua franca and the one true constant embedded within each practitioners core creative and personal development). Reflection in this sense, as the very means of creative and personal growth, differs radically between specialisms and specialists with no specific or consistent tool or platform embodying this expression. However, Individuality and self-expression is paramount to all successful creative practitioners and the body of work they produce, whilst the creative process itself has been less easily quantified. 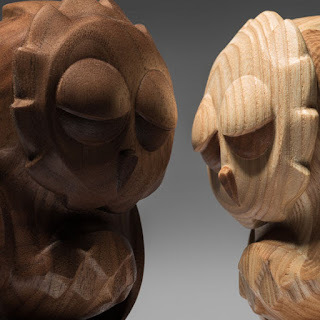 Personalisation/customisation is fundamental to social dynamics and filling our environments with our own personal objects and artifacts transforms that space into an extension of our creative individuality and identity – objects with their own biographies. Backed by extensive research, data sets drawn from over 150+ creative practitioners responses to a subjective psychoanalytical survey, resulted in a series of unique Elements [3D modeled and 3D printed]. These Elements were then used as touch-points in their creative process or as a platform for ideation and creative expression. The resulting Elements were also used to help curate and showcase an individuals or team’s pragmatic or idealistic approach to brainstorming, visual mapping and project development. The generation and use of a unique and personal platform allows the user/s to; Curate, Reflect, Evaluate and Originate new and existing creative outputs via multiple means of interaction. The Elements in this sense is also a tangible representation of individuals or groups Creative Identity. 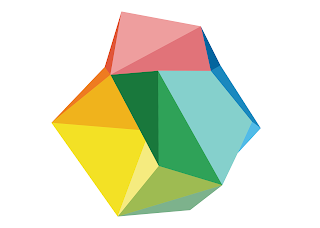 This holistic and creative method/tool may assist in the creation of a more cohesive creative approach, through the curation of ideas, which may inspire new creativity, foster existing relations whilst also forging new creative collaborations. Chronicle), Lee McSweeney (Collect & Display),Lisa Rae Hansen (I Break Toys), Penny Taylor (Taylored Curiosities), Richard Page (UMEtoys), Aaron Woes (Woes Martin), Gavin Strange (Jam Factory), Radim Malinic (Brand_Nu), Tado, Paul and Becky (Stitches & Glue), Ziqi Wu (QiQi), Mirand O’ Brien (Clutter Magazine) and Evan Morgan – and so many more are all there to buy and collaborate with in a unique and exciting way. Elements come in 2’’, 3’’,4’’, 5’’ and 6’’ sizes and prices range from £5 - £30. Each 3D printed to order in amazing quality and shipping is a one off fee per order of £4 for the UK and £8 International. So no matter how much you place in your order that is all you pay! This is a one of a kind 10 inch high vinyl mash-up of the Plaseebo Night Gamer head and hand cast resin arms on a Guumon Diagomi lower body. 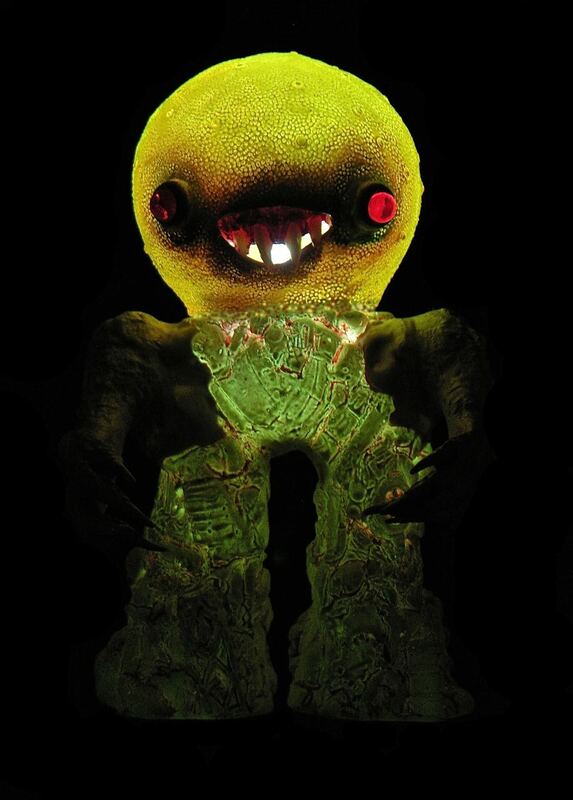 He has red glass inset eyes and an internal motion activated color-changing LED unit with replaceable batteries. Signed and dated 2016. The "Atomic Nosferatu Night Gamer” will be available on Friday January 29th from the Plaseebo web-shop. 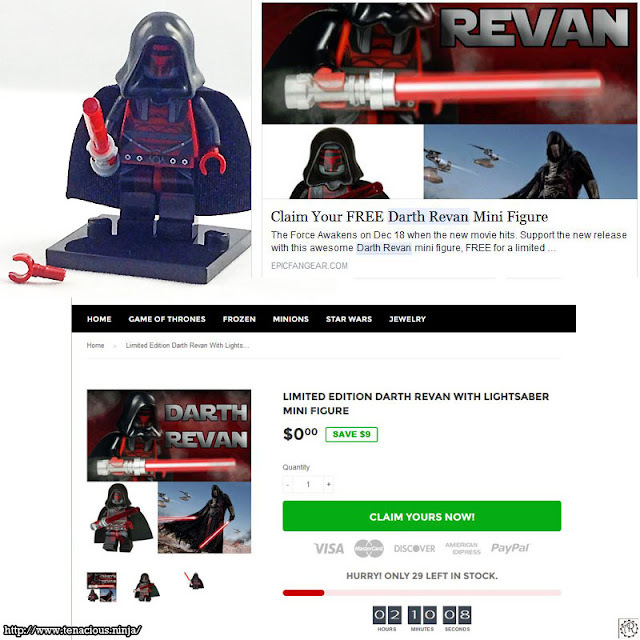 Right prior to Episode 7 debuting on cinema screens, those of you on Facebook might have noticed the promoted adverts for a Sith Lord named Darth Revan (who many have said Kylo Ren's look is partially inspired from). I decided to see what was up with it, betting on it being a China made knockoff of some sort, and in no way really officially anything made by LEGO. There was a bit of worry that my bit of postage was just going to disappear into the far east, and I'd never receive this "free" minifig to offer up a review with. 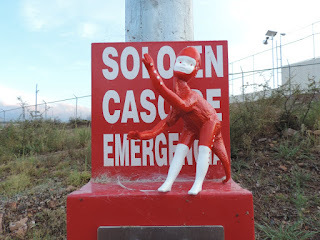 He came with an extra hand. I don't know why, aside from people losing and gaining hands in Star Wars is pretty normal and I just didn't think about it. But show up it finally did. About this time, I happened upon another minifig knockoff company, but this one had a big old fancy pants logo on the standee brick that accompanied the two figures I picked up. 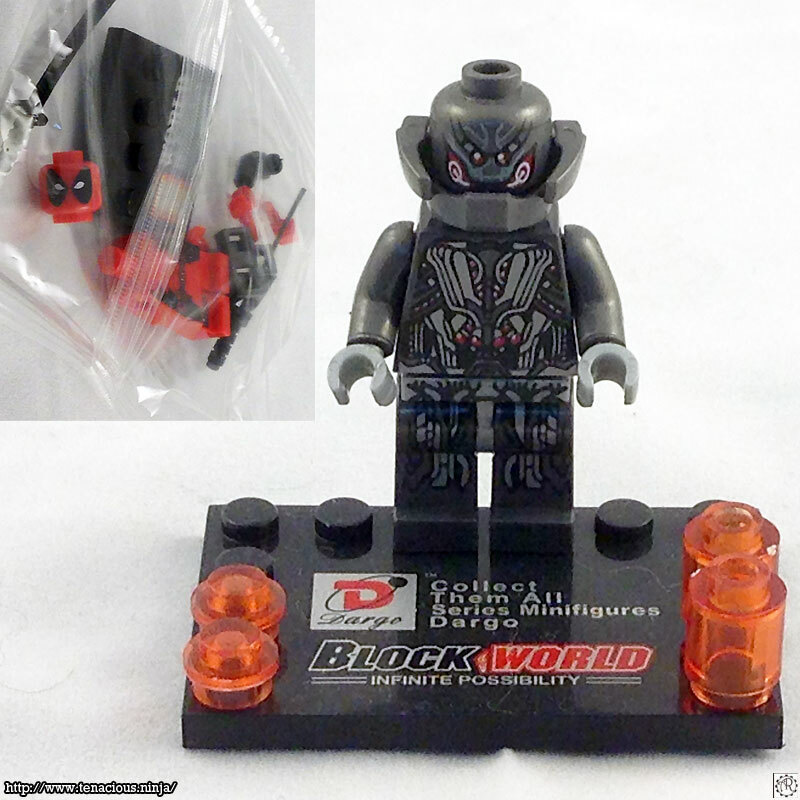 Deadpool (upper left hand corner in the clear polybag), and what appeared to be Ultron, both of these manufactured by a company called "BlockWorld", which only shows up on the internet on Aliexpress. If you get to looking at the images, yes I was having a bit of focus issue, but I think I captured enough of the details that you can see these are decent enough in looks, little rough on the hand parts casting. But it's when you are putting any of these three together, there is a definitive lower quality lock together sort of mechanic at play that is so satisfyingly there when you mess with real LEGO bricks and minifigs, which in all three of these felt like, there was just a thin sheen of oil or something on all of them. The Darth Revan minifig is the most well fitting of the three, but the plastic is lighter, has a less dense feel to it, an almost fragile feel to it. 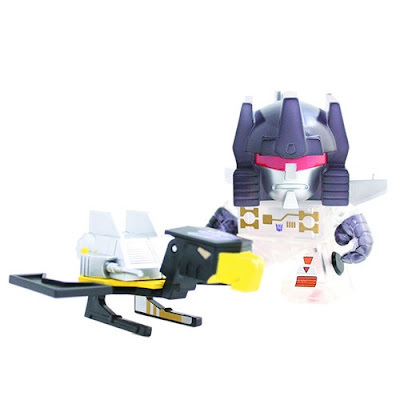 But the art tampo details are clean and clear, you'd honestly think this was a real LEGO fig if you were not holding it. Deadpool and Ultron both had studs that were ill fitting that connected the upper body to the legs. After a while, the two halves while just STANDING there, would start to almost muffin top up, and then fall off. Also, the accessories that came with Ultron (his neck brace/armor and his clear bricks), and the swords that came with Deadpool had that, "don't push these too hard into place or they will break and slide up under your fingernails and you will cuss like a sailor" plastic feel to it. As more and more excellent and well crafted companies like my two favorites BrickWarriors and Brick Forge, keep making top notch original items, it's really not worth my time or money to look to these sub par alternate Brand X type ones. Speaking of, I've got more great items from BrickWarriors coming up in my next review that I'm sure you all will love to see! Worth $5 of shipping / $6 for the store polybags. 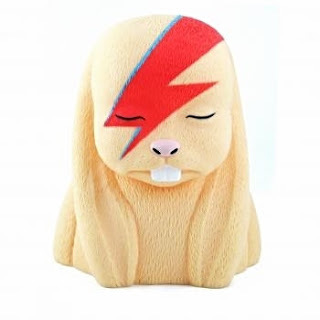 Trivia & Fun Facts Bootleg items like these have been around as long as popular culture sort of items have been. 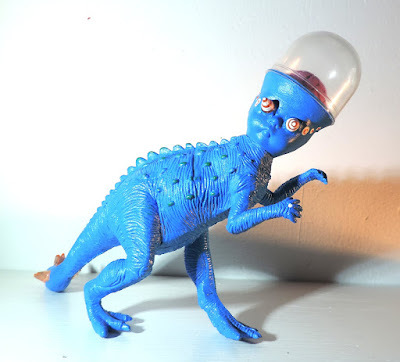 I personally find them to be interesting oddities and will on occasion pick them up, but for my money, stick to LEGO originals, or the high quality created brands out there.